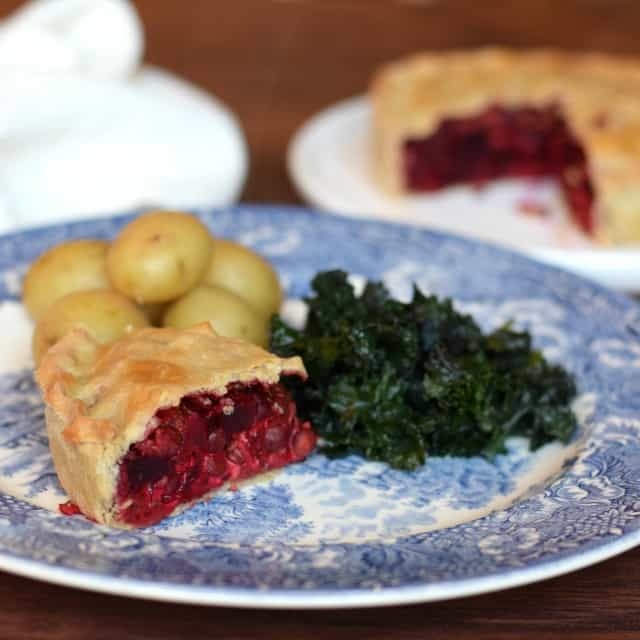 With a wonderful earthy flavour, this vegan beetroot & lentil pie recipe produces a delicious, colourful and nutritious meal which is perfect served with vegetables and potatoes or a simple salad. This past week was British Pie Week. I’m sure that all of your social media feeds, just like mine, were packed with wonderful pie creations. Fruit pies. Savoury pies. Single crust pies. Double crust pies. Rustic pies. Pretty pies. Given that our household is a great big fan of pies I couldn’t let British Pie Week pass by without coming up with another pie recipe. 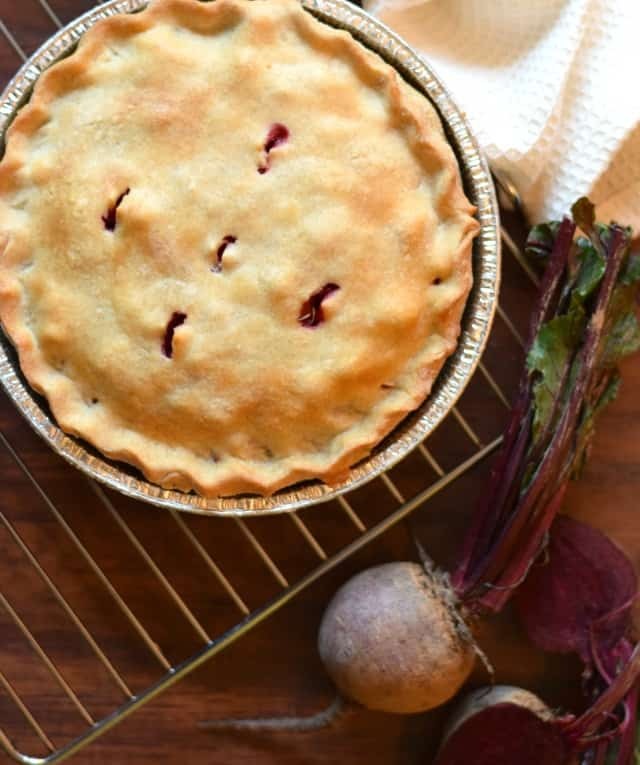 This delicious Beetroot & Lentil Pie has such a wonderful earthy flavour courtesy of the roasted beets. And just check out that amazing colour once the pie is sliced into! There’s definitely no need for food colourant in this recipe thanks to the amazing pigments the beetroot has. 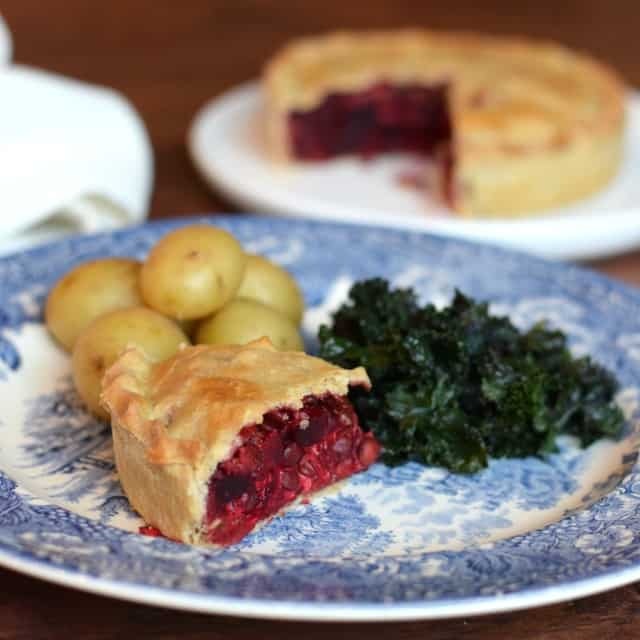 For that very reason I’d also recomend wearing something different to your favourite white blouse / shirt when preparing (or even eating) this lovely savoury vegan pie! Rubber gloves also come in useful too whilst skinning them after they have been roasted. 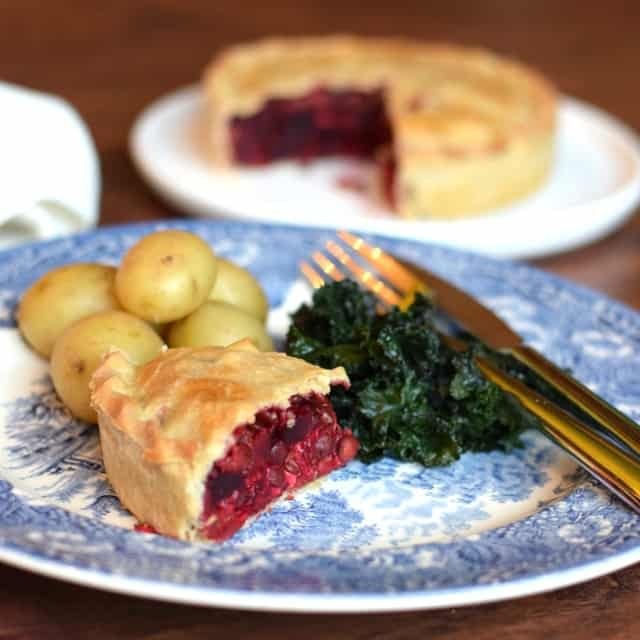 This vegan beetroot & lentil pie was actually inspired by a recent visit to a local award winning vegetarian cafe, Ginger, here in West Yorkshire. The couple who run it, Mark & Claire, are so friendly and helpful, and their dishes are not only largely vegan but they also embrace a significant number of gluten free options too. It’s certainly a lovely eatery to stop at to re-fuel if you’re ever in the area! Anyway, it was dad’s 70th birthday and the three of us, as Mr E was at work, felt the need to mark the actual day (he has some other actitivities to celebrate coming up too). We all loved our respective meals at Ginger, including dessert (you surely can’t celebrate a birthday without a dessert! ), mum having had a vegetarian sausage and mash, dad a butternut squash and sweet potato curry whilst I opted for the beetroot and lentil pie which came with sauted potatoes and vegetables. It was the perfect meal. Not only was it warming and filling, perfect for the the cold snap of weather outside, and nutritious and colourful too, but it was also amazingly delicious. I just had to try to recreate it at home! I have to say that I love beetroot. As a child I by far preferred it pickled alongside a salad. I fondly recall having a salad every Sunday, during the summer months, at my Grandmas where I would mix the hard boiled egg yolk with the purple vinegar which surrounded the beetroots. In my mind, as an 8 year old, it was the best part! These days my tastes have refined, a little, and I find myself thoroughly loving roasted beetroot! There is such depth of flavour and aroma brought about by roasting fresh beets. 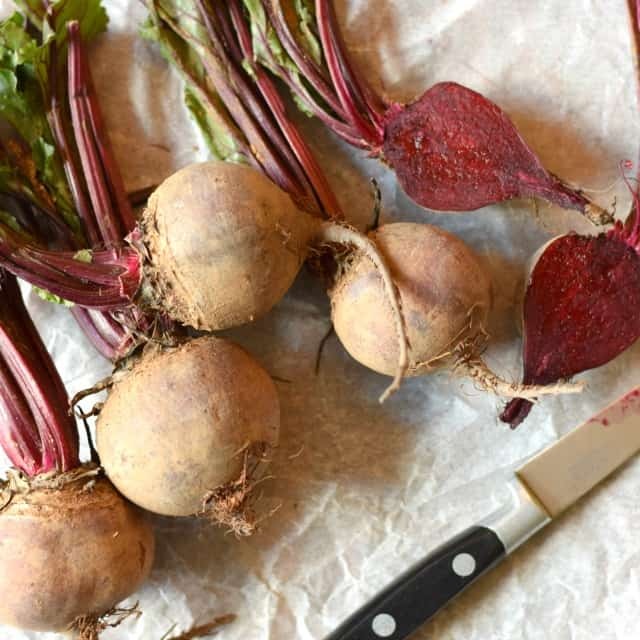 It is these fresh roasted beets which were used to fill our vegan pie, along with lentils, tomatoes, red onion, a little vegan cheese and thyme. (or even lard), it’s a much healthier option. Now, Mr E sadly doesn’t care for beetroot. So being the good wifie that I am I made him his new favourite pie, Homity Pie, whilst I enjoyed this beetroot & lentil pie myself. Although it was a relatively small pie, at just 16cm, it was clearly far too large for one person, but it proved to be just as lovely served with a little salad for lunch the following day too. 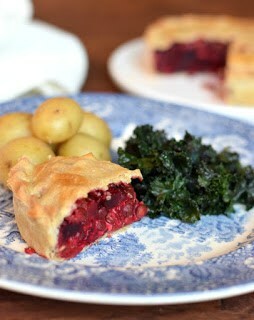 So, here’s how to make Beetroot & Lentil Vegan Pie! Hands on time: around 20 mins Bake time: about 60 – 70 mins Yield: 1 x 16cm pie, serving 3 – 4 people. 1. Prepare and cook the beetroot. Preheat the oven to 200℃ / 180℃ Fan / 400℉ / Gas 6. Wash the fresh beetroot under running water. Cut away the leaves and stalk, but leave a 3cm length. Place the beetroots into a baking tray. Drizzle with a little sunflower oil and sprinkle with a pinch of salt. Roll the beets in the oil. Place 1.5 sprigs of thyme over the beetroots. Place the baking tray in the oven. Bake for around 40 – 45 minutes until tender but not shrunken. Once tender remove from the oven and allow to cool. Rub away the skins (it should come away easily). Use a knife to remove the root and stalk. Dice the beetroots into small pieces, a max of about 1cm cubed.2. Make the pastry. Meanwhile, place the flour and salt into a mixing bowl. Pour in the oil. Add 3 tbsp cold water. Use a knife to cut through the liquids and flour to create a dough. Add a little more water as necessary to bring it together, though only add a little at a time so as to avoid making the pastry too wet. Bring the dough together into a ball and flatten to a disc. Wrap in clingfilm and set aside to rest.3. Prepare the tomatoes. Place a small pan of water onto a medium heat on the hob. Once the water is almost simmering add the tomatoes. Allow the tomatoes to cook for 1 minute. Drain. Carefully peel away the skin, it should come away easily. Chop the tomatoes into quarters. Remove and discard the seeds (and skin). 4. Prepare the onion. Peel the onion & dice it into small pieces. Place a drizzle of oil into a frying pan. Set over a moderate heat. Add the prepared onion and allow it cook for 5 – 10 minutes until it is soft & translucent. Move it around frequently. Avoid letting it colour. Once cooked remove the onion from the pan and set it aside to cool. 5. Increase the oven temperature to 220℃ / 200℃ Fan / 425℉ / Gas 7. Place a baking sheet in the centre of the oven large enough to hold the pie dish.6. Line the pie dish. Lightly dust the work surface with flour. Unwrap the pastry and cut it in half. Roll out one half into a circle about 4mm – 5mm thick. Use the rolling pin to lift the pastry into the pie dish. 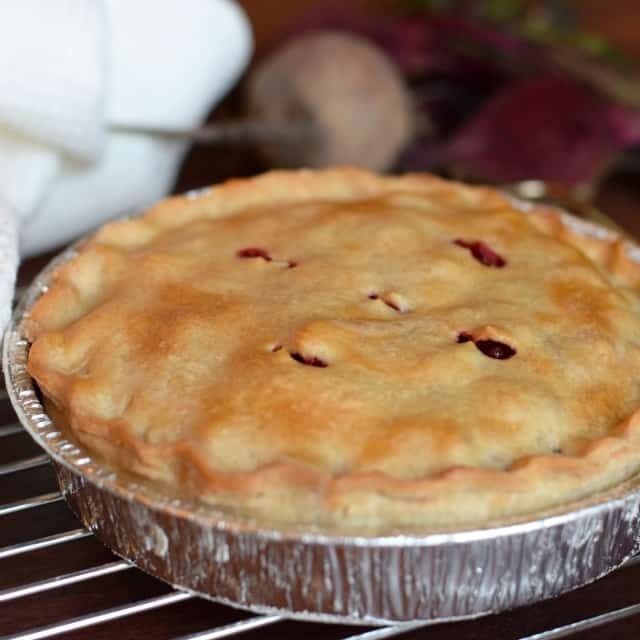 Use your finger tips and knuckle to gently fit the pastry to the pie dish, avoiding stretching it. Use a sharp knife to trim away the excess. Roll out the second piece of pastry into a circle as before. Allow the pastry to rest.7. Combine the filling. Once the vegetables have completely cooled, place the chopped roasted beetroot, de-seeded tomatoes, sauted onions, drained lentils, vegan cheese (if using) into a bowl. Combine together. Add the chopped leaves of half a thyme sprig. Season with salt & pepper. Mix again. 8. Fill the pie dish & bake. Gently add the filling to the lined pie dish. Use a pastry bush to paint a little water around the pastry crust. Use the rolling pin to lift the pastry lid onto the filled pie case. Gently press the pastry lid to the pie crust to seal. Use a sharp knife to trim away the excess. Crimp the pastry crust with your index finger, middle finger and thumb. Use a pastry brush to glaze the pastry with a little dairy free milk. Use a pair of scissors or a sharp knife to cut a couple of steam holes in the pastry crust. Place the pie into the centre of the oven on the heated baking sheet. Bake for 20 – 25 minutes until golden brown.9. Enjoy served with potatoes & vegetables or salad. a) Be aware that the beetroots can stain. You may find it useful to wear a pair of rubber gloves whilst preparing them. This sounds absolutely delicious Angela. I do love a good pie, but I'm pretty sure I've never tried one with beetroot. Pinned. Wow! My family and I just finished this pie, and I had to come back and thank you for the recipe! It was amazing! We did one thing different, who has was to chop the beets fist and then bake them to save some time, but it was incredibly delicious! I was sad to eat the last bite. Hi, I'm so happy to hear that you enjoyed the pie so much, and such a great tweek on preparing the beets. this pie looks delicious – I am interested to hear that your vegan pastry worked – I am not much of a pastry maker but I have tried a few vegan pastries that work really well – I think I have tried the olive oil version though I am a bit forgetful of which ones I have tried. The beetroot centre look very striking – I love beetroot too. Thankyou Johanna, that beetroot filling is very eye catching isn't it! Vegan pastry is very new to me, as I mentioned in the post – but I'm seriosuly impressed by how well the oil worked in place of the butter. I love beets and it looks wonderful. 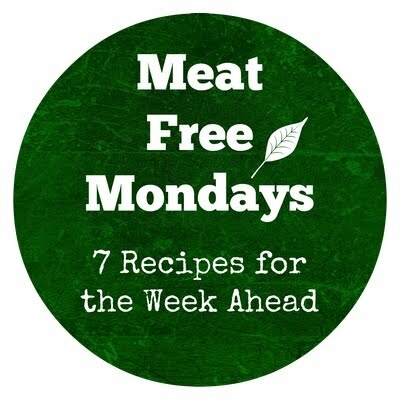 Thanks for submitting it to Meat Free Monday. The roundup is now live and your recipe has been featured. Awe thankyou Jacqueline, I'll be popping round to have a read of the other ideas! Doesn't the colour just pop! Yeah, I'd say it was healthy Rebecca even though it's a pie with pastry. what a gorgeous pie filling, I just love the vivid colour! I've been using lentils this week too, really handy in a tin aren't they. I wlil have to give this a go, it sounds so good and is perfect for a chilly day. It's an amazing colour isn't it! Really eye catching when sliced into. I love tinned lentils – they're amazing, so much easier than soaking and boiling the dried one! I have to admit that beetroot pie was a first for me when I tried it in the veggie cafe, and was so pleased when i loved it as much as I did, it held so much flavour! Ooh if you're ever in West yorkshire I'd definitely recomend checking out Ginger – they have such an interesting and tastey menu Shaheen! Yum! I've been on a pie-making kick recently as I bought the Pieminister 'Pie for all Seasons' book, which has got some great recipes in there. Using oil in the pastry is a great shout, wouldn't have thought of doing that, but makes perfect sense! That purple is on point ? Ooh I've not seen 'Pie for all Seasons book' it sounds just our sort of book too! I was really pleasantly surprised when I came to eat the pastry, I really wasn't expecting to like anywhere near as much as I did to be honest. I'll definitely be making it again, especially when I cook for my parents who are very conscious about the type of fats they eat. I do like the look of this pie Angela – It's so colourful and bright! I have to admit I'm always a little nervous of making things with beetroot because of it staining everything but I do love it roasted! 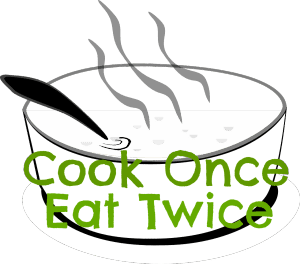 Thanks so much for sharing with #CookOnceEatTwice! Haha, I know just what you mean about be nervous with beetoot for fear of ir staining everything! Happily I made a conscious effort to wear my apron and rubber gloves whilst I handled them and as luck would have it all the colour stayed just where it was meant to!